When the Batman decided to take the blame for Harvey Dent’s death in The Dark Knight (2008) to prevent the horrific truth about Two Face tarnishing the District Attorneys reputation, Batman vanished without a trace, leaving Commissioner Gordon (Gary Oldman) to carry the heavy burden of the lie that must endure if the legacy of Gotham is to survive. Still wracked with grief over the loss of Rachel Dawes, his childhood sweetheart, Bruce Wayne (Christian Bale) has become a virtual recluse over the last eight years. He is now a shadow of his former self, his body worn down by the injuries he sustained during his crime fighting career – Bruce now walks the darkened halls of Wayne Manor like a ghost; lost and alone without any meaning or direction remaining in his life. But a storm is coming to Gotham in the form of the muscled powerhouse known only as Bane (Tom Hardy), a terrorist hell-bent on unleashing anarchy on the city. 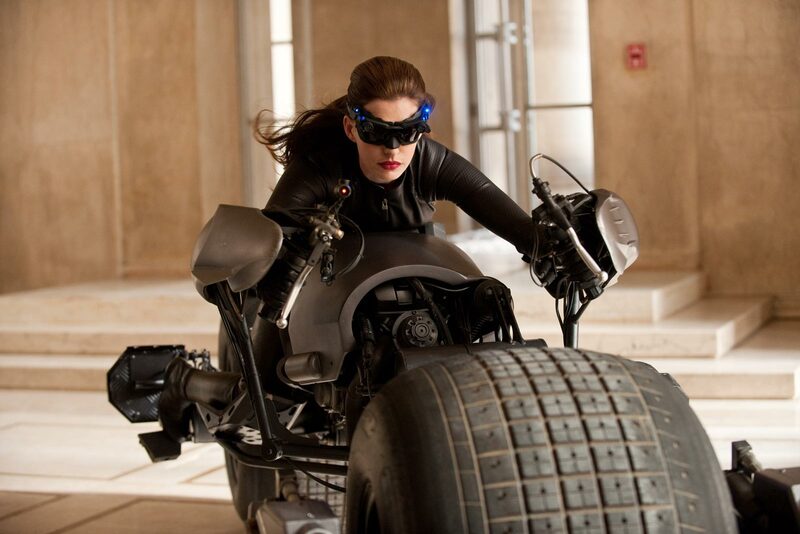 Then there is the alluring jewel thief Selena Kyle as the vivacious Catwoman (Anna Hathaway) who wants to use her skills to try and escape the life of crime that is slowly catching up with her. 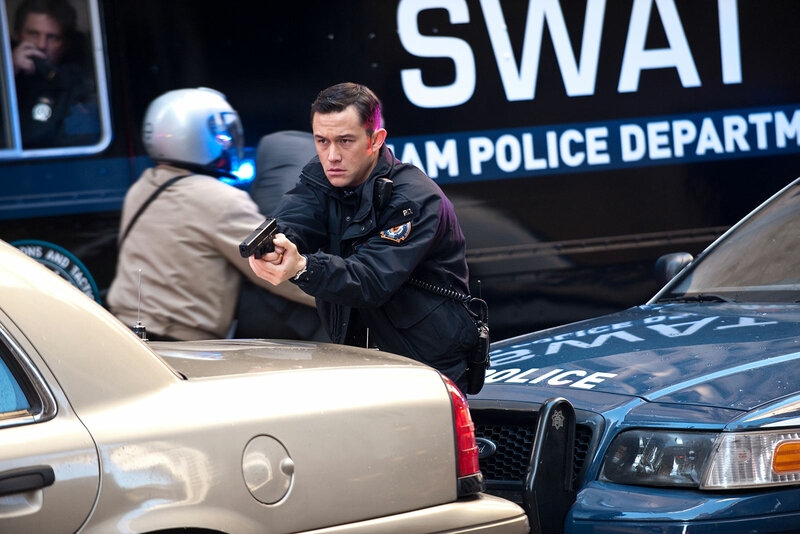 Miranda Tate (Marion Cottilard) becomes romantically involved with Bruce Wayne as she sides with him in an attempt to prevent a hostile takeover bid for Wayne Enterprises, yet it is rookie cop John Blake (Joseph Gordon Levitt) who proves most instrumental in persuading the Batman out of retirement. Bruce Wayne employs the skills of Lucas Fox (Morgan Freeman) and his loyal friend Alfred Pennyworth (Michael Caine) to help him don the cape and cowl once more as Bane attacks the Stock Exchange, Batman finds a new ally in Catwoman, but their brief alliance leads to a near fatal encounter with Bane in the sewers beneath Gotham. With his back broken, Wayne Enterprises in tatters, and his armoury plundered Bruce is left for dead in the same prison where Bane once languished in agony. Unable to walk, he is forced to watch as Gotham City begins to descend into madness as Bane frees the inmates of Blackgate and holds the city to ransom with the unstable core of a prototype fusion reactor. Bruce’s fellow inmates help him on the long path to recovery as Bane’s unstoppable wave of anarchy engulfs Gotham. When Bruce Wayne finally escapes from the torturous hell-hole he returns to Gotham City to take up the Mantel of the Bat one last time, rallying Gordon’s Police Force, and joining forces with Catwoman in a desperate bid to defeat Bane and save Gotham from a nuclear holocaust. Christopher Nolan has not only reinvented the origin of Batman with the sensational Batman Begins (2005), a momentous film that was then surpassed in the sequel by Heath Ledgers phenomenal performance as The Joker in The Dark Knight (08), Nolan now brings his trilogy to a rousing finale in The Dark Knight Rises as Batman is forced to take up the cape and cowl one last time to defend his city from the relentless onslaught and chaos wrought by Bane. While Tim Burton’s incarnation of The Dark Knight was a sumptuous gothic fantasy, the series unfortunately descended in camp farce with Jole Schumacher at the helm, quickly sounding the death knell that left fans wondering if Batman would ever show his face outside the Bat Cave again. 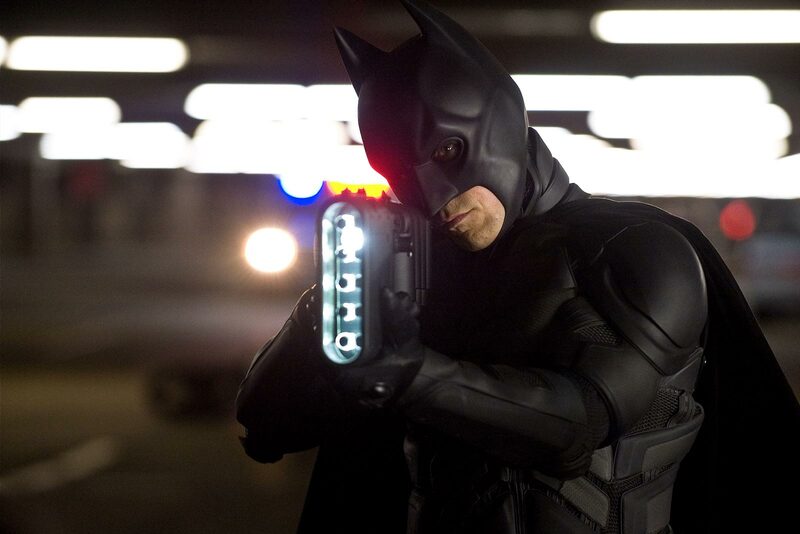 By rooting his Batman films in a more grounded reality, Christopher Nolan created a dark and unforgiving world, and in casting Christian Bale as Bruce Wayne / Batman he has also given us the most definitive version of The Dark Knight. 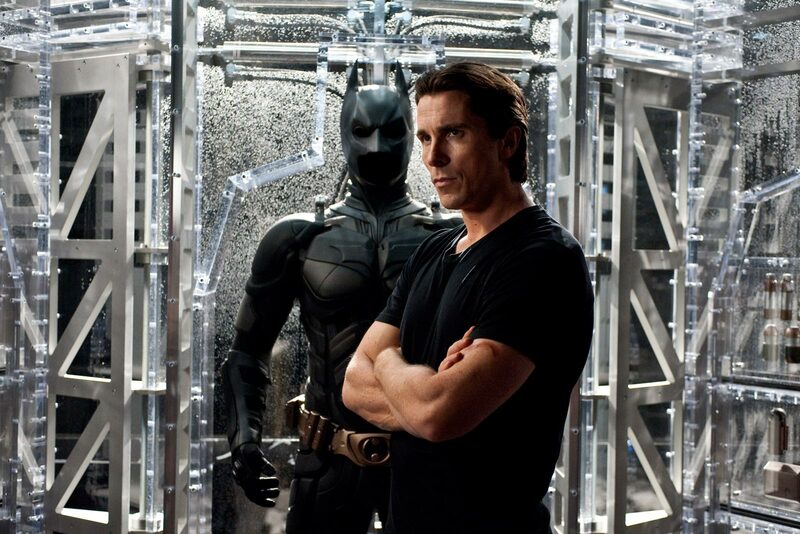 Christian Bale makes the role his own in The Dark Knight Rises, physically and mentally, if anyone were born to play this character then Bale was definitely the man for the job – eclipsing even Michael Keaton’s underplayed performance in Tim Burton’s Batman (1989) & Batman Returns (1992). We have watched Bruce Wayne grow form his tortured beginnings, through his training at the hands of Ra’s Al Ghul (Liam Neeson), to a battle royal with Heath Ledger’s chillingly disturbed Clown Prince of Crime, and now in The Dark Knight Rises we get to see Bruce Wayne face the greatest challenge of his career as he confronts Bane. With events in The Dark Knight Rises taking place some eight years after Batman took the blame for the death of Harvey Dent, we join Bruce Wayne at a critical juncture in his life as he struggles to save Gotham City from Bane and deal with his grief for Rachel. One thing Nolan’s films have excelled at is the relationships that have built up around Bruce Wayne: most notably with Michael Caine’s star turn as Alfred Pennyworth, and Gary Oldman’s world-weary Commissioner Gordon – both of whom were criminally underused in the pervious franchise – who have subsequently become crucial elements of Nolan’s trilogy and are given even grater roles in The Dark Knight Rises.. He may have been overshadowed somewhat by Heath Ledger’s marvellous Joker in The Dark Knight, but Christian Bale’s performance in The Dark Knight Rises is exemplary. His portrayal of Batman struggling to come to terms with the twilight of his career is stunningly realized, even when he is broken by Bane, Bale’s performance rings true to everything already established in Batman Begins. One of the films most rousing moments comes as Bruce makes his escape from Bane’s prison; it’s a fantastic catharsis for the character, and one that makes the trilogy feel as if it has finally come full circle. Yet for all the punishment he has received at Bane’s hands, nothing compares to Alfred’s admission that he burnt the last letter Rachel entrusted him to give to Bruce. It breaks Bruce Wayne’s heart to know that Alfred did this to protect him from the knowledge that Rachel had chosen Harvey Dent over him, it destroys Bruce far more than Bane’s wrath, crippling his soul in a way that not even his parent’s death could fully accomplish. Catwoman has long since been a mainstay in the comic books, holding a unique foothold in Batman‘s life above even longstanding members of the Bat-Family: she has gone from notorious cat burglar, to friend, confidant, lover, and back again. Ann Hathaway exemplifies everything that this marvellous character has to offer, playing the role of Selena Kyle that is far closer to the comic book version. Michael Pfeiffer arguably made the role of Catwoman her own in Batman Returns (1982) with her extraordinary performance and memorable costume, it made Pfeiffer the focal point of the film, and rightly so. Hathaway looks every bit as stunning as Pfeiffer did in her slinky cat suit, although her portrayal of Selena Kyle as a graduate from the school of hard knocks rather than a tortured psychotic has much more depth and substance to it. The chemistry she shares with Christian Bale almost mirrors that which Pfeiffer had with Keaton in Batman Returns; who can forget the moment when they danced at the masquerade ball and had their glorious epiphany under the mistletoe – guessing each other secret identities – in what is still one of my all-time-favourite moments in a Batman film. There is a wonderful homage to this scene in The Dark Knight Rises, where, after stealing his mother’s string of pearls from Wayne Manor, Selena Kyle encounters Bruce Wayne at a party hosted by Miranda Tate. It’s a lovely scene, an affectionate nod to the past, and one that also sees Bruce Wayne lose his heart to Selena’s captivating femme fatale. Its great to see Batman and Catwoman fighting side by side in The Dark Knight Rises, they make a great team, never more so than when they are both on the wrong side of the law. Although Catwoman’s seductive charms ultimately lead Batman to ignore Alfred’s warnings and stumble blindly into Bane’s trap in the sewers, fortunately Selena finds redemption – and forgiveness – in the Dark Knights shadow when he returns to save Gotham City from Bane’s reign of terror. Of all the members of Batman’s Rogues Gallery, only Bane has ever truly come close to destroying the legend of the Dark Knight. Originally conceived as part of the 1993-1994 Knightfall crossover event in the Batman comics, Bane was the antithesis of foes like the Joker, Riddler, and Penguin. Bane didn’t just want to torment and kill Batman; he wanted to smash everything that the legacy of Bruce Wayne stands for – battering him with insurmountable odds before confronting Batman in the Bat Cave itself and breaking his back. While others might argue that Knightfall was merely an attempt by DC to cash in on the success of Doomsday in the Superman comics, I think Knightfall and the following chapters which saw Bruce Wayne fight his way back to health to eventually usurp the man who assumed the mantel of the Bat in his absence – Azrael (Jean-Paul Valley) – gave the Bat-Titles a much needed boost. 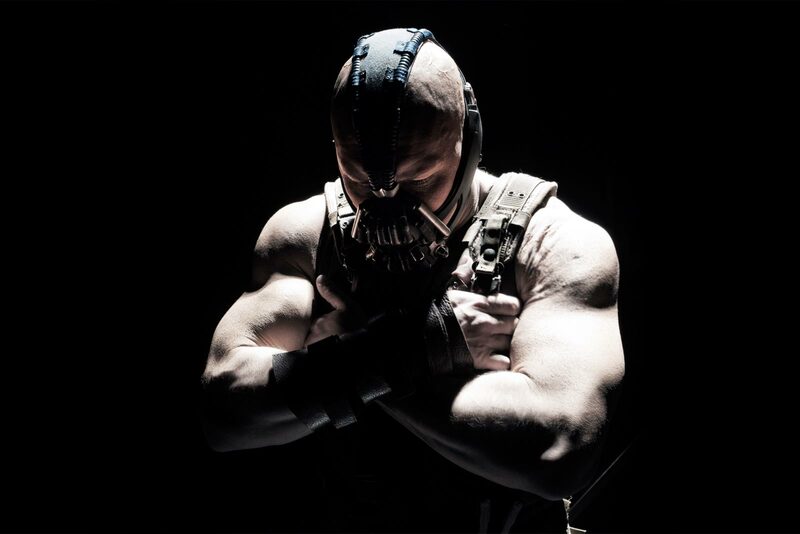 Tom Hardy is an inspired choice to play Bane in The Dark Knight Rises. He has the immense physicality necessary to bring the character to life on screen: Bane’s brooding menace is apparent right from the spectacular plane highjack at the beginning of the film, his initial encounter with Gordon leaves the Police Commissioner in hospital, he entombs the police force as brutally as he breaks the Batman, unleashes an explosive attack on Gotham’s social and political infrastructure that brings the city to its knees, and the final revelation that he was also the protégé of Ra’s Al Ghul ‘s League of Shadows only serves to polarize the character in our imaginations as The Dark Knight Rises races towards its thrilling conclusion. Hardy looks set to become one of the most memorable Bat-Villains yet. The mask and rasping voice all serve to heighten the tension, with Hardy conveying Bane’s terrifying evil with often just a casual gleam in his eyes. Although this is not the venom fuelled monster that hunted Batman in the comics, the Bane we meet in The Dark Knight Rises draws his strength from the horrific injuries he suffered in prison and his insidious intellect – if anything these potent strains of hatred feed Bane with a physiological “venom“ that is far more powerful than any chemical substitute. 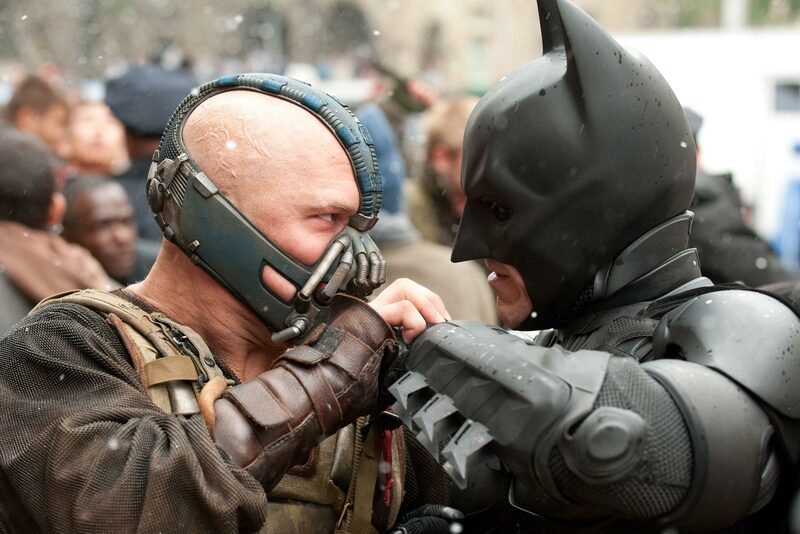 The Dark Knight Rises casts off the stigma of how poorly Bane’s character was served in 1997’s dire Batman and Robin. The result is an action packed spectacle, one which, together with Christopher Nolan’s masterstroke in casting Tom Hardy, finally establishes Bane as one of the most terrifying cinematic threats the Batman has ever faced. Even with its lengthy running time, The Dark Knight Rises is an enthralling experience, and the plot never feels like it is padded or bloated with needless exposition. The supporting cast is also well served, particularly during the films final act, with everyone having a part to play in Batman’s attempt to wrest Gotham City from Bane’s clutches. The action kicks into overdrive as soon as an incredulous Bane witnesses the flaming Bat Signal burning over Gotham: while the Police Force launch and all-out-assault on Bane’s headquarters, supported by Batman in his new flying vehicle “The Bat” and Catwoman on the Batpod, it falls to Commissioner Gordon to locate the truck carrying the fusion reactor while John Blake spearheads the evacuation of Gotham’s citizens. Victory is in sight as Batman triumphs over Bane and rescues Miranda Tate, but it is short lived, when Tate stabs Batman and reveals herself to be Talia Al Ghul – the daughter of Bruce Wayne’s former mentor Ra’s Al Ghul! Having escaped from the same prison as Bane when she was only a child, Talia has now returned to claim her birthright and wreak vengeance on Bruce Wayne for killing her father. With Bane as her loyal servant, Talia leaves him to dispose of Batman as she personally takes command of the convey carrying the fusion reactor. Just as all seems lost, Catwoman returns in time to save Batman by shooting Bane with the Batpods cannons. Together with Gordon they hunt down Talia and blast the truck off the road, but she has set the reactor to overload. Latching the reactor to the Bat aircraft, Batman carries the device out over Gotham towards the sea before it detonates, sacrificing himself to save the city. The addition of Talia Al Ghul in the films climatic moments is a haunting culmination of the trilogies ultimate ambition, giving credence to the ghostly visage of Ra’s Al Ghul that taunts Bruce from beyond the grave as he struggles to recover from his injuries, and finally giving Batman the strength to emerge from the mire of his most crushing defeat. She embellishes Bane’s back story in a way that makes him appear almost as tragic and lonely as Bruce Wayne was after he lost Rachel. Talia and Bane are forever entwined by their terrible incarceration, locked in the impenetrable gloom of their unwavering loyalty to one another, and destined to die for a love unrequited. Batman’s new aircraft make a fitting substitute for the Tumbler/Batmobile which has become so synonymous with Nolan’s series. Stunningly realized by some eye popping special effects, The Bat is an awe inspiring sight as it streaks across the Gotham Skyline, and possesses more than enough firepower to make it every bit as spectacular as the Batmobile. 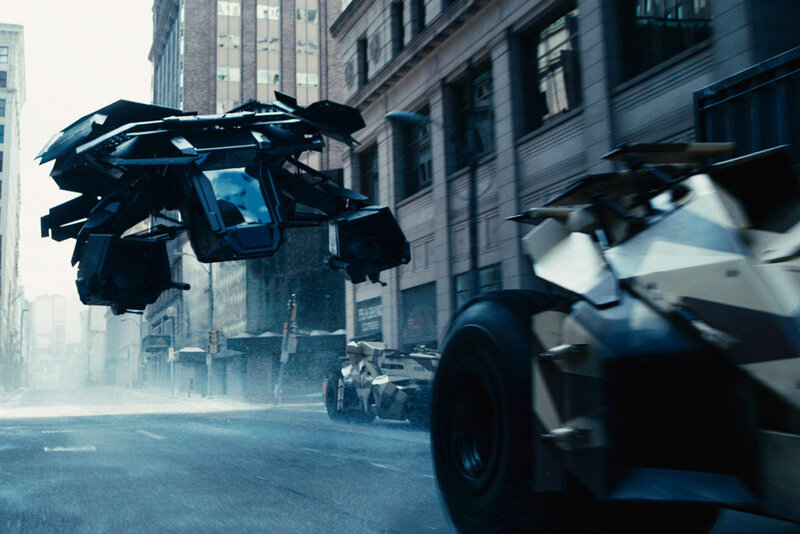 The special effects sequences that feature the Dark Knights new vehicle are thrilling to watch, and flawless in every detail, especially when Batman is exchanging fire with Talia’s convoy. As Gotham City mourns Batman’s demise, erecting an ebony statue in his honour, it falls to Alfred to oversee Bruce Wayne’s funeral where he is laid to rest beside his parents in the grounds of Wayne Manor. In a bid to escape his grief, Alfred takes a holiday in Florence, and there in a fleeting glance across a crowded café he sees Bruce – alive and well – enjoying his new life with Selena Kyle. This brief coda is beautifully realized by Nolan, it is almost surreal in its intensity, and is Michael Caine’s most endearing moment of the entire trilogy as the promise Alfred made to the Wayne Family finally becomes a heart warming reality. 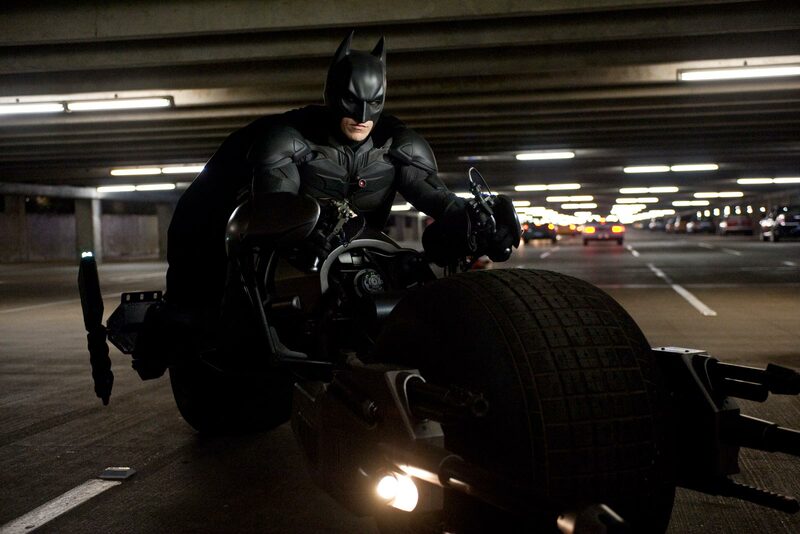 The Dark Knight Rises has taken some of the very best elements from the Batman comics: drawing on such classic storylines as The Dark Knight Returns, Knightfall, and Cataclysm. All are fantastic stories in their own right, but together they form one massive fan pleasing spectacle. In many ways there is also a dark sense of finality around The Dark Knight Rises. With Bale hinting that this will be his last outing as Batman, and Nolan seemingly ready to step down from the director’s chair with the completion of his trilogy, it begs the question of what the future may hold for the franchise. It’s entirely possible that the Batman films will be rebooted again, perhaps with Gordon-Levitt’s “Robin” in waiting taking over as Batman, with a series of films centred around a more densely populated DC universe of superheroes, one that might even see DC attempt to emulate Marvels success with The Avengers by making a JLA movie. The Dark Knight Rises provides an epic conclusion to Christopher Nolan’s phenomenal series, together his trilogy stands as some of the finest comic book films ever made, and it is this enduring legacy that will captivate a whole new generation of fans in years to come.